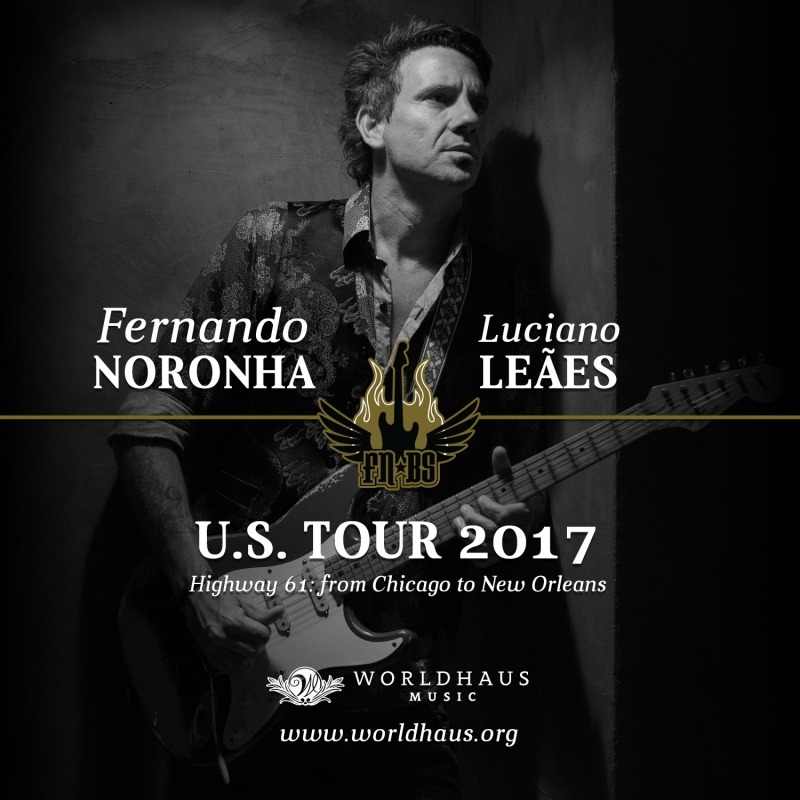 Fernando Noronha and his long-time friend and band colleague Luciano Leães are going on tour in the U.S. in February of 2017. After showcasing their songs at Folk Alliance International in Kansas City, the duo will head to Chicago, where they will start the tour. Following along the Mississipi River and all its Blues' history, they will take Highway 61 to the south, reaching New Orleans just in time for Mardi Gras. The tour will end in Texas, where Worldhaus Music is based, with a special jam session with the label's founder, Michael Hardie, and his long-time friend Milton Hopkins.